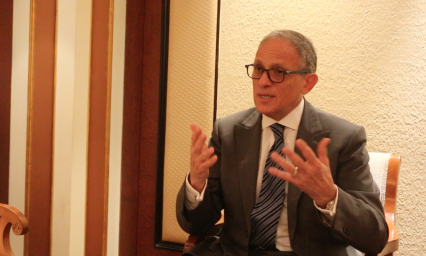 On his first trip overseas since US Exim was granted reauthorisation, chairman Fred Hochberg spoke exclusively to GTR in Mumbai about the damage caused by the five-month shutdown. In particular, Hochberg bemoans a number of satellite deals lost to Canada and France because the US was unable to offer government export credit backing, but says that the bank is moving swiftly towards being back up at full speed. With the US election season in full swing, the fact that US Exim managed to secure a five-year authorisation means that it will avoid being used as a “political football” in the debates. Many Republicans are ideologically opposed to the organisation and have frozen its activities a number of times over the past few years. Hochberg visited Asia at a time when a number of multi and unilateral funding vehicles were coming online, but voiced willingness to work with the Asian Infrastructure Investment Bank (AIIB), so long as the work done supported US jobs.